First off I must say that I have never had a bad experience at Somerset Creamery! Well maybe except the time Lizzie, Melissa and I watched a young boy projectile vomit on the deck. Oops! In the summer months (they are only open April-October), I indulge at Somerset almost weekly. Anytime Lizzie's home, we go. I also make frequent trips there with my parents, Katrina, Sarah, and anyone that is in town visiting. 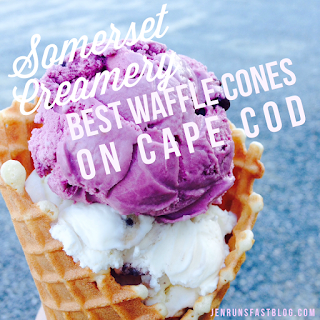 It’s my favorite and I’m setting out on my Cape Cod Ice Cream Tour to find anything that can top Somerset Creamery. 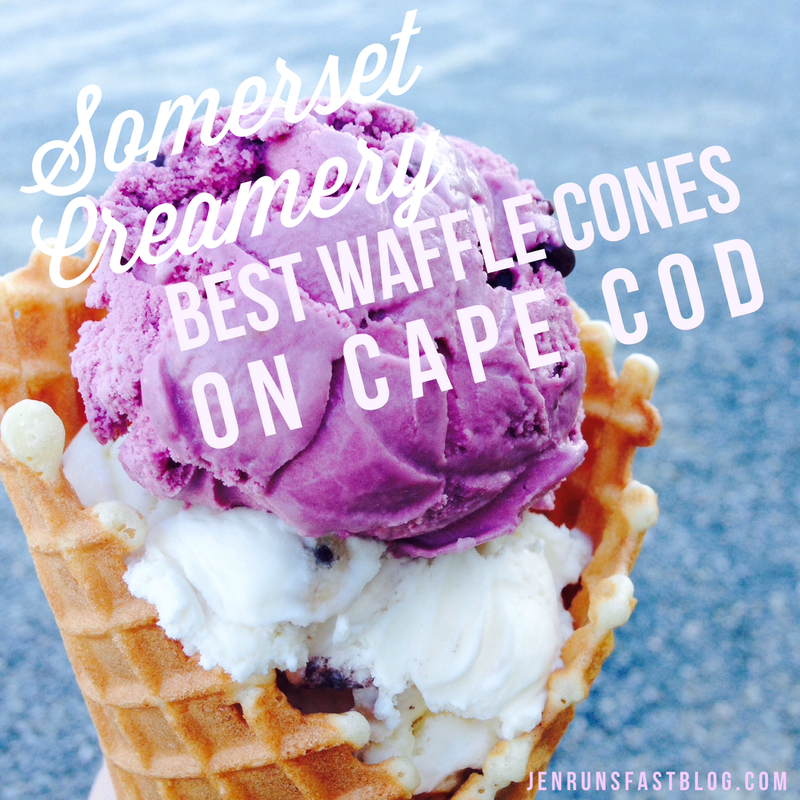 Best waffle cones on Cape Cod! I ALWAYS get a medium waffle cone. I like to mix it up from time to time but my favorite go to cone includes Chocolate Chip Cookie Dough on the bottom with Orange Sherbet on top. So many options! One of their specialty flavors is Cranberry Bog. Other fun flavors: Blueberry Pie, Chocolate Coconut, Coconut Almond Chip, Fudge Ripple, Peanut Butter Oreo, and Black Raspberry Chip Frozen Yogurt. All sizes. Small, medium, large. Cash only. Prices are very reasonable. The parking lot can be busy but if you're there after normal business hours, there is a lot across the street to avoid the madness. If you go at night on the weekends, expect to wait in line. They have a lot of workers so the lines moves pretty fast. Imagine the aroma of fresh waffle cones as you walk in the door! I wish I could bottle up that scent and bring it home with me. There is outdoor seating only – a few benches in the shade on the deck and also some tables and chairs. 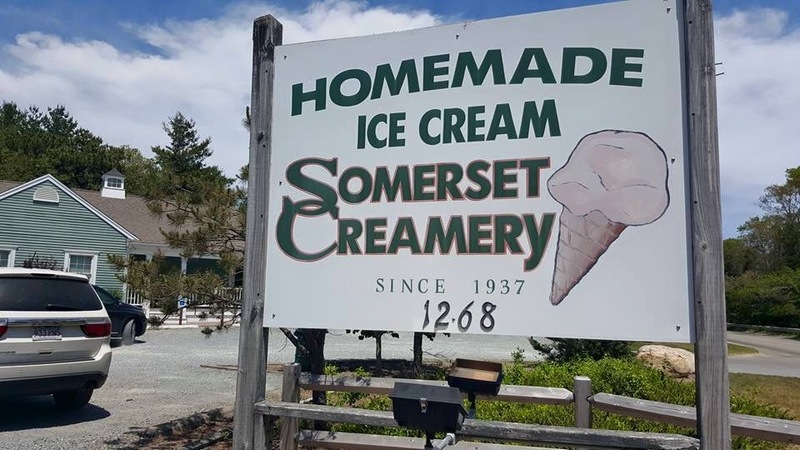 Somerset Creamery is also a short drive to Old Silver Beach to bring your ice cream and watch the sunset.